Looking for a Removal Firm to help you move house FROM or TO London, Kent, Essex or Surrey ? Dee Dee Moving an established and genuine family run Removal firm with over 30 years experience in helping individuals, families and businesses move home or office. Expert knowledge and careful planning are the key to a successful stress free move, making sure that every care is taken into consideration when packing and loading your personal effects. 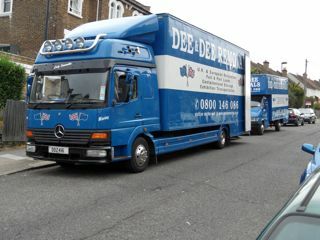 Dee Dee Moving can quote your move on any property anywhere with-in the South East of England. You can obtain a guideline removal price here to give you some idea of the cost of your move and how we work the cost of your move. Simply fill out our On-line quotation form with all your details and we will contact you with a competitive cost of your move. 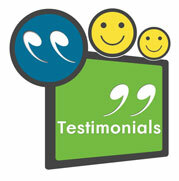 Book our Estimator to take a visual of your property for an accurate cost for your removal. If you are moving to any of the areas above you must check your parking access for our specialist removal vehicle for the outside of both your properties. If moving to or from Central London your more than likely have residential parking or paid parking bays. You the customer will have to notify your local borough council and pre-book the area for the removal vehicle, Dee Dee Moving will inform you of your removal vehicle size and registration prior to booking.